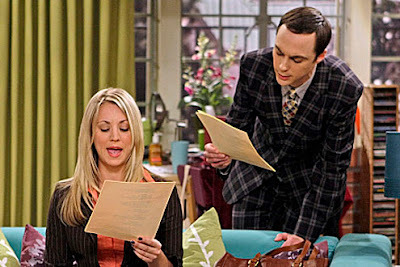 A new episode, entitled The Excelsior Acquisition, airs tonight at 9:30/8:30c on CBS. Sheldon misses an opportunity to meet comics mogul Stan Lee when he has to go to traffic court after getting a ticket because of Penny. Guest starring Stan Lee as himself! Nuff' said. Stan Lee, great! It's gonna be hilarious.